Can You Use Your Name as a Brand Name? - Gottlieb, Rackman & Reisman, P.C. Publications > Can You Use Your Name as a Brand Name? Businesses commonly use names of their founders as a trademark or brand name. This can lead to a variety of issues. One issue that arises is who has the right to use a particular name when someone else is already using the same or a similar name in the marketplace. There is no unfettered right to use your name in connection with your business: just because a name is your name does not mean you can use it. Some examples illustrate this point. 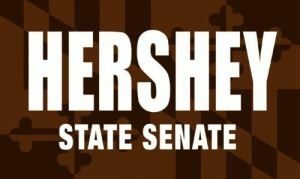 Last year, The Hershey Company sued Maryland State Senator Steve Hershey for using a campaign logo featuring a Maryland flag in dual tone brown as the background, the word HERSHEY in white and STATE SENATE below, in a smaller font. The logo looked like the well-known wrapper for Hershey’s chocolate, and unsurprisingly Hershey’s objected. Indeed, Hershey’s sought and was granted a preliminary injunction to prevent consumers from thinking that Hershey’s endorsed or was affiliated with Senator Hershey. In another case, a Colorado attorney named David Law sued a Colorado attorney named David Bush who rebranded his firm as DavidLaw. While perhaps not what Mr. Bush intended when he adopted the name, the potential for consumer confusion is apparent (the case is still pending before a Colorado state court). These cases show that where a personal name is used in a manner that is likely to confuse the public, objections will be raised. While courts will enjoin such confusing uses of personal names, they are reluctant to prohibit an individual from using his/ her name in a commercial manner at all. Although new parents always have a lot on their mind, perhaps they should consider conducting a trademark search once they have selected their child’s name, so they can ensure that their child is free to use his/ her name in any business endeavor they wish!